Welcome to the Comfort Inn North located off I-25 in North Colorado Springs. Located just minutes from Pikes Peak, the Air Force Academy, Garden of the Gods, Cave of the Winds and several other attractions and businesses. 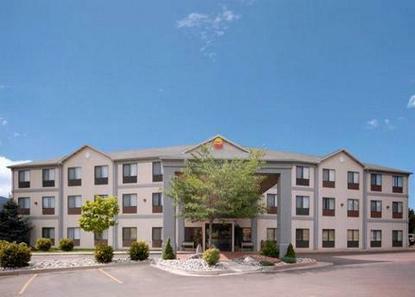 The Comfort Inn offers free wireless high-speed Internet, microwaves, refrigerators, hair dryers, iron/iron boards and coffee makers in all guestrooms. Enjoy our complimentary continental breakfast every morning. Take a swim in our indoor pool and relax in our hot tub. While traveling on business or pleasure the staff at the Comfort Inn will make you feel at home. Suites and meeting space available. Pet friendly hotel. Pet charge of 10.00/night per pet or 25.00 per pet up to a week.